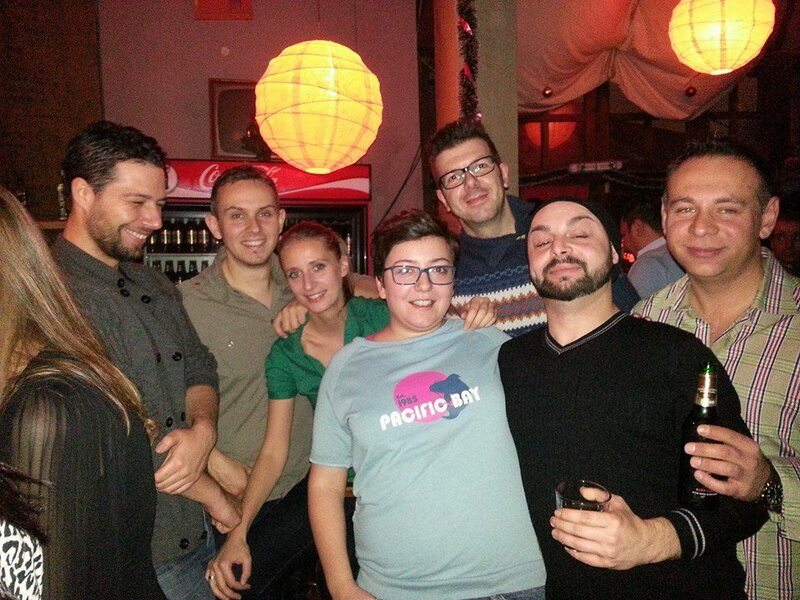 Last month the qLit team went to the 1st European Lesbian* Conference in Vienna. This 3-day event was highly inspirational for all of us, especially because we met a bunch of interesting and inspiring people from all over the world. Here’s Elena from Skopje, Macedonia, for example. One morning we were sipping our coffees and discussing how things are in Macedonia and Hungary when I realized we know very little about her country (besides Mother Theresa, who in fact was Albanian). So here she is telling us about Macedonia, especially through the lenses of the lesbian* community. Elena, thanks for accepting my invitation. Can you introduce yourself please? Hi to the readers of qLit magazine! Thank you to the editors for providing space and giving me the opportunity to share experiences and thoughts. I am Elena Petrovska, born in Bitola, Macedonia and currently living in the capital, Skopje. After returning from living abroad, I've become actively involved in LezFem (lesbian feminist activist group) and I currently work as a Manager of a shelter center for protection and support of LGBTI victims of every type of violence. As my daily occupation is pretty emotionally and time-consuming, in my spare time I try to relax at home by myself or go out for a couple of beers with friends (read: I want to party haha!). I use my free time to organize cultural activities & parties for LezFem. How would you summarize the general situation of the LGBTQ+ community in your country? Macedonia is a LGBTQI-phobic country where in the past years the LGBTQ+ people were demonized and put on the margins of the society, as the country was dominated by oppressive and conservative politics, lead by the former right wing government. Most of the population is traditional, conservative, everything and everyone who does not satisfy the level of "normal" life, and everyone who does not live by the rules of heteronormativity is seen like crazy, a fool. But is there any activism? Is anyone fighting for LGBTQ+ issues? Sure, and I must say LGBTI activists are strong in Macedonia and have been organizing protests and pride weekends over the years. For example, we created a shelter center for vulnerable and marginalized people. 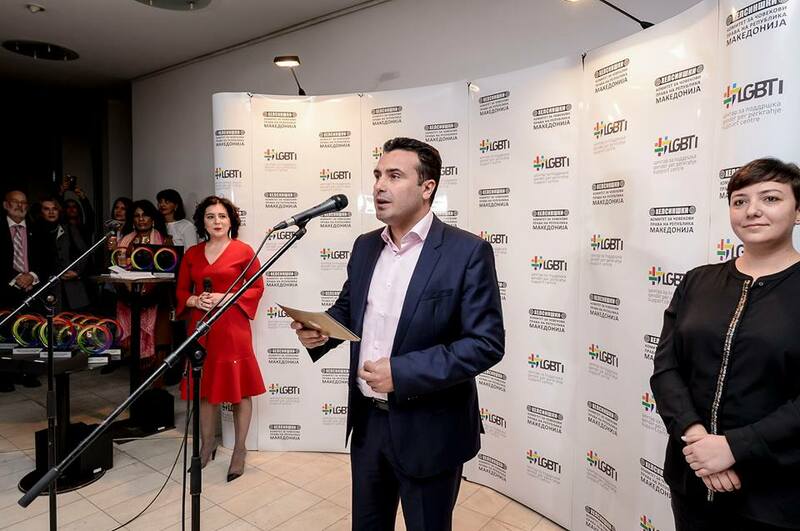 Good news is that nowadays we have a new government and for the first time, a Minister of Culture opened the Pride Weekend in Skopje, and the Prime Minister came to the birthday celebration of the LGBTI Support center in Skopje as well. That is historical and a big step forward for the community. Now we will see how they are going to cooperate in changing the laws and putting the sexual orientation and gender identity as a basis of discrimination, hate speech and hate crime. The fight continues everyday. That sounds promising. Now tell me a bit about Skopje. In Skopje the general atmosphere is more open compared to small towns, but still the visibility on the streets is practically non existent: you rarely see girls holding hands, or kissing in bars. I must say that internal homophobia is still very, very high. Let me tell you a funny story. A couple of years ago, LezFem made a guerilla action putting huge banners on few big crossroads in Skopje saying: "Lesbians wish you a good day." You would be surprised to learn that it was actually the lesbians that attacked LezFem for using the word lesbian. They felt offended by that. Still in present times most of the lesbians use the term gay instead of lesbian. The lesbian community is not so strong, you know. In 2015 we organized the First Regional Lesbian Forum in Macedonia titled “Sisters outsiders”. It’s a slow process but we are making progress I would say. From 5 members in 2012 nowadays we are 25, and it is encouraging to see more young women interested in joining our lesbian* feminist group. They are nowadays more open, courageous, interested in change, working on themselves, and learning feminism or queer theory. Can you say a couple of words about lesbian* social life over there? First, some time travel. Maybe 8-10 years ago, there was actually a vibrant LGBTQ+ life in Skopje. There were some gay-friendly cafes and discos where most of the guests were actually LGBTQ+ community members. The parties were secretly organized and people got the invitation by sms (no internet back then, can you imagine?). I know several lesbians that organized lesbian parties and they are still famous. I remember back then, I was in a relationship with a girl from my town, who took me to a lesbian party in Skopje. I still remember how confused I was and maybe a little bit shocked as until then I haven't seen so many different lesbians in one place. It was funny. I remember back then, in my town, Bitola, we secretly organized ourselves, gathering in one apartment. We were several lesbians and we just talked, drink few drinks, watch move, just that. Wow, pretty underground. Is social life still secretly organized? No, but it is not so vibrant anymore either. There are one ore two gay friendly bars, nothing special. Most of the LGBTQ+ cultural life has gone due to the rightist regime. We from LezFem organize parties, every 2-3 months, only for self-identified women in the premises of the LGBTI Support center (this is a safe space for us). We invite the dj's (women of course) and everything else the lesbians* can bring by themselves. 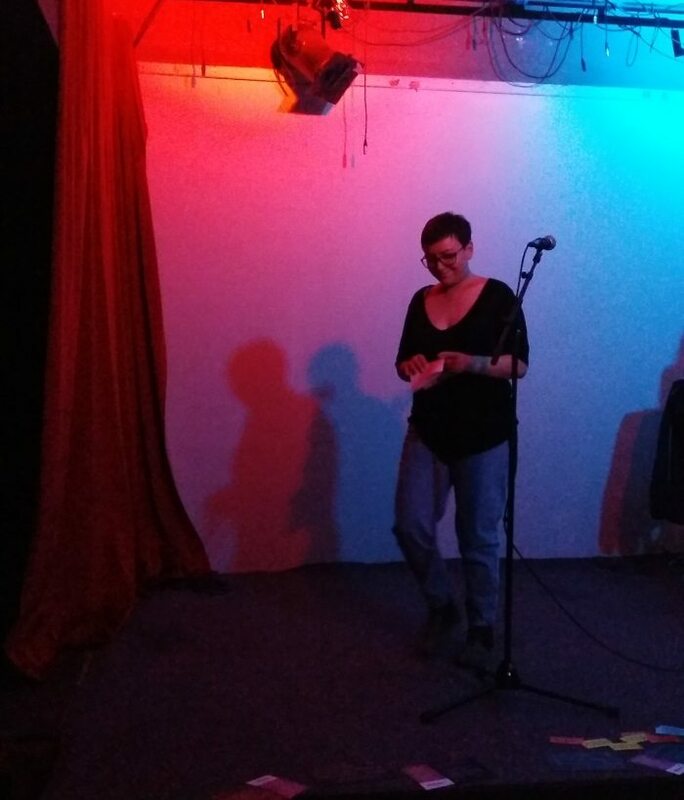 We also organize lesbian movie nights on a monthly basis, crowd poetry event, we read queer/lesbian* poetry, have organized lesbian picnic during a pride weekend in Skopje, etc. Finally, since last month was Outober here at qLit, coming out is a highly important topic for us. Can you share a memorable coming out stories of yours? I must say I used to live a pretty closed life and didn't know anyone being with a different sexual orientation in my environment. I took a time to explore my sexuality and identity. I didn't have anyone to talk to. It was hard for me, a lot of depression and solitude. After a couple of years, I understood that I am a lesbian and I started to tell my closest friends, one by one. It was such a liberation and I was so happy that my friends were so accepting and nice about it. Still I was living a life not so openly, not open at work, not open with my colleagues. Two points in my life changed me a lot: the sudden death of my father and the period living abroad. Those two life events made me more open, understanding that my life is one and only, that I should live more openly and not be afraid to talk about myself. I started joining lesbian events, going to LGBTQ+ clubs abroad, worked on myself, empowered myself. So after many years, I started to feel I do not have a reason to "get out of the closet". I mean I started to live as if everybody knew that I am a lesbian. I relieved myself from the pressure that I should tell everyone about myself and then to justify myself. Generally I don't care what people think, but whenever I feel the urge, I stand as a lesbian* to fight for visibility or whatever needed. It takes a lot of work on yourself, and asking for support and help is crucial, as stepping up for yourself sometimes is the hardest job. Nobody will do the job but yourself. But the positive thing is that there are people that can be here for us, which is the most precious thing. In the end, one of my favorite quotes is Nothing for us, without us! 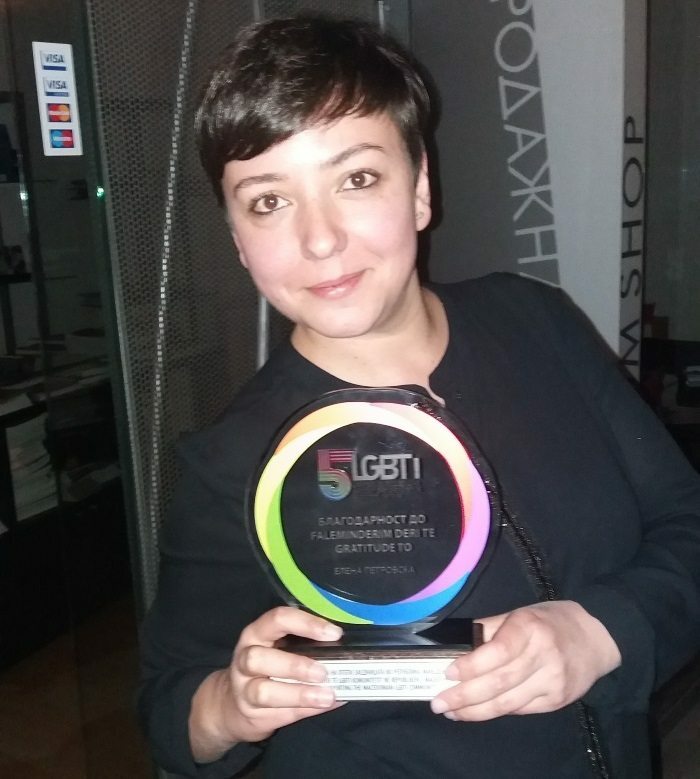 And thanks for the EL*C conference organizers for the opportunity to meet inspirational women such as Elena who fights for lesbian* visibility and safe spaces in Macedonia.